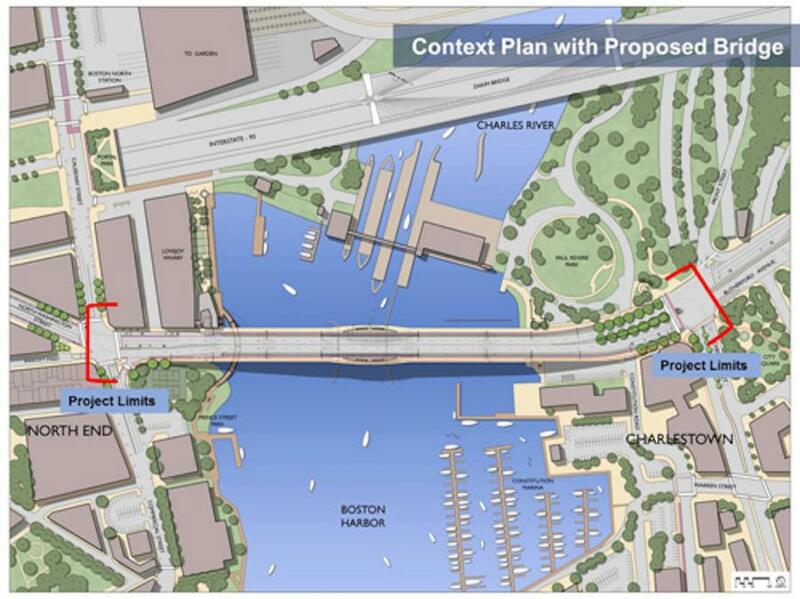 The MassDOT Board of Directors approved awarding a contract for approximately $177 million to replace the North Washington Street Bridge that carries traffic over the Boston Inner Harbor between the North End and Charlestown. Work-related activities including utility work are currently expected to begin this spring. Construction operations are then expected to start in fall 2018, at which time traffic logistics including lane reductions will be implemented in order to allow crews to safely and effectively work on the bridge structure. In general, throughout this construction project, motorists will have access to two travel lanes in the inbound direction towards Boston, and one outbound lane towards Charlestown, and pedestrian and cyclist access will be maintained. This excludes a one-month period in 2019 during which crews will demolish the main truss span meaning there can be just one lane in each direction. As with all MassDOT projects, consideration has been given to the impact on those who use the bridge and construction activities will be undertaken in such a manner in order to minimize the impact on the traveling public and local community. The bridge is a critical link in the MBTA bus network providing passage for several Haymarket-destined bus routes from the north including the 92, 93, 111 and 426 bus routes. MassDOT and the MBTA have been in close coordination and every effort is being made to minimize the travel time delays for these routes. Construction is expected to be completed by fall 2023, and the full scope of work includes replacing the existing structurally deficient bridge, providing multi-modal amenities including widened sidewalks, separated bicycle lanes, and bus rapid transit lanes, increasing intersection safety and capability, and improving the navigation channel. This project is being carried out to improve the functionality of the bridge and ensure reliable travel throughout this area. This bridge is 118 years old and carries intercity vehicles as well as local MBTA bus, shuttle and tour bus routes. The bridge is safe for travel currently and due to its status requires between $1 million and $2 million in annual repairs. For more information, visit massdot.state.ma.us/.